I graduated from Northumbria University with an BSc in Human Biosciences in 2017 during which I developed an interest in stem cell biology. During my degree I undertook a summer studentship at UCL Great Ormond Street Institute of Child Health – modeling Bardet-Biedl Syndrome using iPSCs – and a placement at Department of Haematology, Cambridge – investigating iPSC reprogramming. 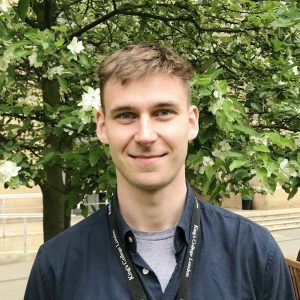 I chose to join the MRC DTP due to the diverse list of projects available and the opportunity to rotate across several labs to experience different aspects of research prior to starting my PhD. The program also offers a wide range of skills workshops which have been invaluable during the MRes year. Manipulating the stem cell fate in vivo. Identifying novel molecular mechanisms involved in the generation of new insulin-producing beta cells from adult stem/progenitor cells. Identifying novel markers of pancreatic progenitor populations using single cell RNAseq.